Hundreds of Irish customers are affected. Mazda Ireland is carrying out a voluntary recall of model RX 8 passenger vehicles. According to an statement issued by the Competition and Consumer Protection Commission (CPCC), Mazda has identified a safety issue whereby the crack on the socket of the front lower transverse link can lead to breakage. There are other safety issues, including the concern that ageing and heat could also lead to fuel leakages. The recall affects 438 vehicles in the Irish market that were manufactured between July 2003 and February 2008. The CPCC has issued the following instructions to consumers who may be affected. "Mazda Ireland will be writing directly to those customers involved in this recall to arrange to have the transverse links, end caps and fuel pump unit inspected and replaced. The letter will also advise consumers affected by this voluntary recall to contact their nearest Mazda Dealer/Authorised Repairer who will arrange to do the repair free of charge. Mazda Ireland can be contacted on: 01 233 4700." Dublin Fire Brigade has also drawn customers' attention to the defect. Mazda Ireland is carrying out a voluntary recall of the model RX 8. 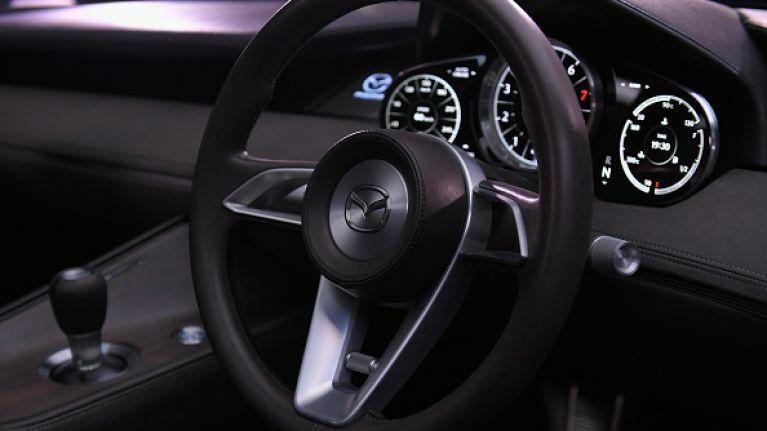 Mazda has safety issues including, heat and ageing that could possibly lead to fuel leakages. The CPCC notification about the recall can be read in full here. QUIZ: Do you know what these car warning lights mean?